Daoud will be traveling in Arizona with Beth Moore and Bill Plitt for the Spring 2018 Tour. Here is the schedule of presentations. 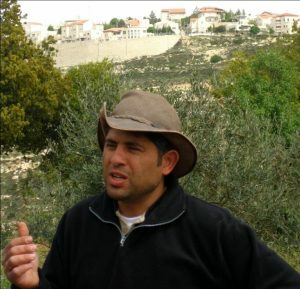 A conversation with Daoud Nassar, Palestinian Christian farmer and Director of Tent of Nations. 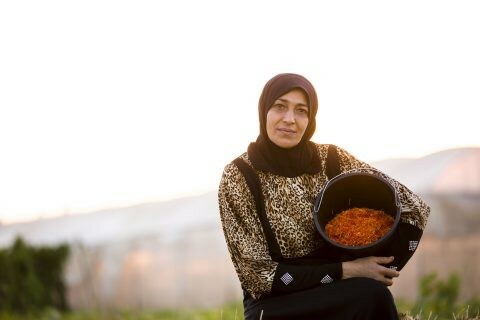 Located on the Nassar family’s 100-acre farm and orchard outside of Bethlehem in the West Bank, the Tent of Nations has become an international peace center attracting thousands of visitors annually. 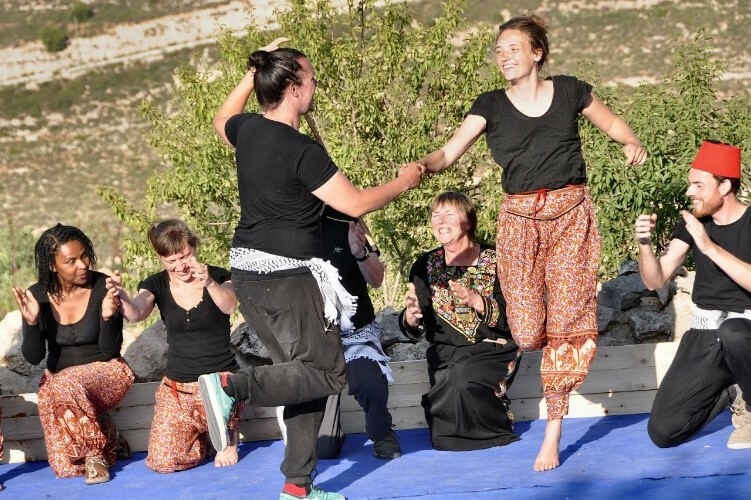 International visitors, including many Israelis, join together to plant trees, harvest olives and fruit, teach at the Women’s Education Center, lead activities in Summer Children’s Camps, and work together in pursuit of a just peace through non-violent action. Daoud will be sharing his story in Phoenix and Tucson, AZ on the dates, times and places shown below. We want to remind you, once again, of the incredible honor bestowed upon the Nassar Family/Tent of Nations by the World Methodist Council (representing over 80.5 million Methodists around the world). The Nassar Family was one of two recipients of their 2017 World Methodist Peace Award. Here are just a few names of past recipients with whom you may be familiar: Jimmy Carter, Nelson Mandela, Anwar Sadat, Father Elias Chacour, Stanley Mogoba and Kofi K. Annan. To see a complete listing, visit their website at: worldmethodistcouncil.org and visit their “What We Do” page. Daoud has been invited to go to Seoul, South Korea in mid-July to receive this award. As usual, he is greatly humbled by this recognition and affirmation of his and the Nassar family’s efforts to grow peace from the ground up. We must continue to support these efforts, too. Rev. Kristen Brown delivers the message on behalf of the World Methodist Council to Daoud Nassar that his family has been chosen to receive the 2017 World Methodist Peace Award. Photo courtesy of Rev. Kristen Brown. Don’t ignore the fact that FOTONNA is offering Volunteer Scholarship opportunities. 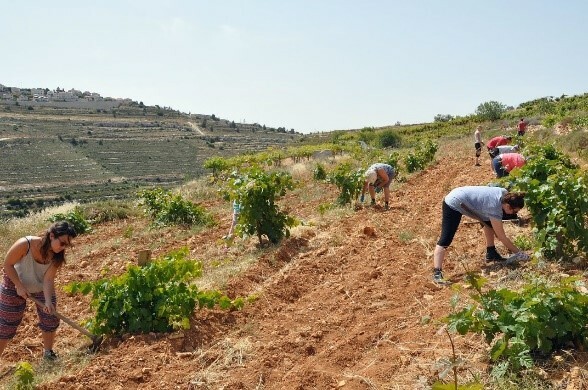 For a month or more of “labor of love” on the farm, FOTONNA can help with half the cost of airfare and all of your volunteer expenses. See our FOTONNA website for details at: Take Action – Become a Volunteer. Support a young person in your community, church or school by encouraging their involvement in a unique, life-changing experience they will never forget. Fr. 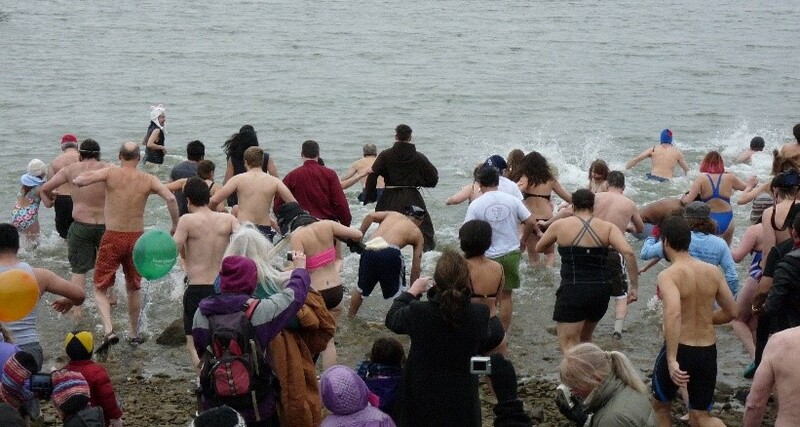 Jacek Orzechowski (one of FOTONNA’s Advisory Council members) is at St. Camillus Church in Silver Spring, MD, and he does the annual fundraiser Polar Bear Plunge at the National Harbor. This year it took place on January 27, and Fr. 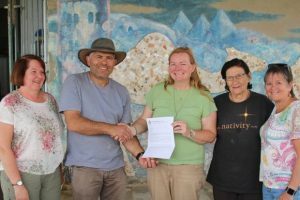 Jacek chose Tent of Nations as the recipient of funds raised through his efforts. The Chesapeake Climate Action Network (CCAN) sponsored the event, and half of the funds raised by Fr. Jacek goes to TON and half to CCAN. There is a humorous video of the event that Fr. Jacek put together, and you can join in the laughter by going to: https://animoto.com/play/uu0FnaPLJUtqBXPlYy1wnQ. We are also adding it to our website under Media – Videos – Tent of Nations. The people who participated were all good sports and are into environmental issues and just general silliness for the sake of doing good things for others. We truly appreciate Fr. Jacek’s support as well as that of all his sponsors!! We are also adding this one to our website. It captures the spirit of the people as they continue to celebrate their heritage and their resistance to the occupation through non-violent means. This one, in particular, tells the story of the Nassar family’s persistence through, over and around obstacles. Not only do they “refuse to be enemies” – they also refuse to give up and go away! Voices from the Holy Land is sponsoring another incredible series of documentaries focusing on Palestinian issues. The series runs from March 4 through April 22. This year, they are showing 10 different films at five different churches in DC, MD and VA on multiple dates. 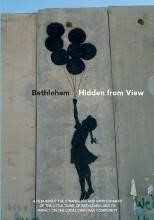 Please check out their website for full details at: voicesfromtheholyland.org. 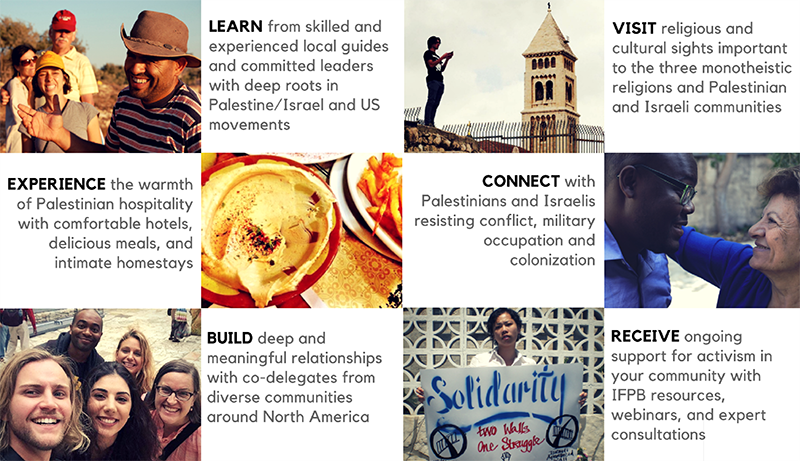 With this new itinerary, they hope to draw in more people to expose them to a different way of thinking about the Israel/Palestine reality. If you are interested in re-producing this kind of program (even in a shorter version), you can visit their Contact Us page, and they will get back in touch with you. There is an information kit you can receive that takes you through the process step by step, and you can make use of their video lending library so you don’t have to order those yourself. We hope that 2018 will be a break-through year for peace everywhere. Why not dream big????!!! It is entirely up to us, every individual, to take on the responsibility of making this dream come true. Remember: You are not alone with this wish for common sense and compassion to prevail and overcome the fear and the hatred that comes out of that fear. We need to raise our voices, let them be heard in every corner and nook and cranny there is, and refuse to let the other voices drown us out. One voice can ring out; many voices can create a cacophony. Let’s “cacophonize” together!!! !